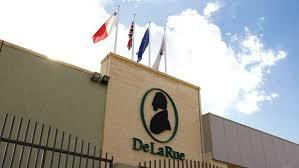 De La Rue's statement comes following several media stories published recently in relation to Reserve Bank of India (RBI) engaging with the British company De La Rue for supplying note printing equipment. These stories alleged the company is blacklisted. Also sent to Counterview in response to a story quoting allegations in a site run by senior activist Teesta Setalvad, sabrangindia.in, De La Rue statement, issued through Karan Bhirani, executive, Brunswick Group, Mumbai, comes alongside Union finance minister Arun Jaitley saying that it is a "false campaign on the social media", accusing the Aam Aadmi Party for running it. “The Papers also revealed that De La Rue had paid a hefty commission to a New Delhi-based businessman to ensure that the company got the RBI’s contracts. De La Rue has proudly proclaimed itself to be the supplier for the Reserve Bank of India, and a partner of Narendra Modi’s Make In India policy”, AAP had said. “The company was officially black-listed by the Reserve Bank for its fraudulent activities in February, 2011, however all records of the blacklisting appear to have now been pulled down from the website”, the AAP had continued. AAP Delhi convener Dilip Pandey had said that De La Rue supplied the same paper used for printing Indian currency to the terror nexus in Pakistan indulging in printing of fake currency. "The company was not only white-listed after Modi came to power, but also partnering with the government on Modi's ambitious 'Make in India' project," he alleged. "We want to ask Prime Minster Modi that why is he partnering with a company which is at the same time partnering with Pakistan, terror outfits, counterfeit currency printers and enemy of the nation," he had said.